Quite honestly I think it’s down to the vanity of one person especially after a certain video I saw which I posted in another thread. Now we’re all paying the price for his mistake. It’s still possible to save things this is what’s annoying me the most about this situation. I could solve this in one week. WarGaming needs to order the World of Warships development team to roll back the game with appropriate compensation to the players. Say for example one free premium ship each and then rework the RTS system. Some people have already made some good suggestions of how it could be reworked. I think we’d all be happy with that, but instead they keep sailing on at full speed despite the iceberg warning. Yes that is a reference to the Titanic. Been playing Empyrion myself now that’s a good development team that takes notice of their player base. After watching this video. I realise that the problem of the old style RTS comes down to one person and their unwillingness to admit that they’re wrong. Yes that’s right Peter Poray-Koshits. I’m talking about you. You made the choice to take World of Warships in this direction. Why? Is it for the reasons you stated, that only 10% of the population played them & they were too hard to understand for certain players to understand? Or is it because you’re so entrenched in your own ideas, dreams and goals for World of Warships that you just don’t want to hear any criticism. You have to push them onto everyone else. To force people to believe that you’re right and everyone else is wrong and in this process World of Warships is been destroyed. By nature carriers have multiple bodies, the main ship and the carrier's strike groups. Yet for some reason you find this concept hard to accept which is very strange considering your background. So what is your real problem with the old RTS carrier system? Because it’s none of reasons you’ve stated previously. Problem solved. Apparently the Chinese version of World of Warships still uses 7.0+ version of the game. <-- Now thinking of moving to China. Then the player base will speak with their wallets. These changes to World of Warships have done nothing but harm to the game and it’s driven a lot of people away. Yet WarGaming are still trying to defend it. This very well could be the nail in the coffin for World of Warships because I and you know, that reputation is everything in the gaming industry. WarGaming said they changed the carriers because only 10% of the total population played them, & because it was too hard for some people to understand and play, but isn’t that like everything else in life. If you can’t do a thing? Then you can’t do it. It’s as simple as that. Wherever you like the new updated carriers or not. WarGaming in their wisdom will never admit their mistake and roll back to RTS style carriers. Meanwhile when the novelty wears off on the population of WoW you will see carrier game play decline greatly but it’s not only effecting carrier game play, because these days I find playing normal ships as annoying. No matter what the staff says at World of Warships this as been a massive mess-up by WarGaming and they will likely never recover fully from it. Simply because like myself a lot of the older population are leaving for other games. I’ve been saying this since the launch of the new carrier mechanics. "There’s a fundamental problem in the play style they’ve gone for." They introduced it in the last patch & apparently WarGaming in their wisdom haven’t spotted it and all the balancing in the world won’t solve it, but what do I know? 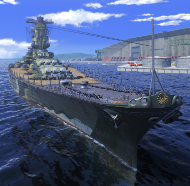 I’m not the one who’s made a total mess out of World of Warships & now have to fix it. The carrier rework as entirely failed! “Just when are WarGaming going to comment about the ongoing situation and admit that you’ve made a massive mistake.” As time goes by your losing players and reputation. Scarcely anybody wanted this update! So why have you pushed it on the World of Warships player base? Isn’t it about time you listened to the community and if you’re still thinking that people like the current carrier rework? "Then think again, here are two graphs one from your own forum and the customer reviews from Steam." Since the launch of the carrier rework bad reviews have been increasing day by day & depending on what you do next? "They may just go up!" This is what I think WarGaming should do. Reactivate the old carrier system on the odd numbered carriers. Keep the new system on the even numbers. I wonder which people would choose to use? But of course they won’t. The carrier rework as destroyed my World of Warships experience. You need a dictionary: Stalking (crime of following or harassing another person, causing him or her to fear death or injury.) What I will be doing is lodging a formal grievance as a customer with a legitimate complaint. If they choose to take any notice of said complaint? Then that’s WarGaming's choice, but either way the truth will be where it needs to be. And you’ve still not answered the question: What would you do? You’re at a restaurant and the waiter brings you your food, but there’s a dead fly sitting on top of it. A: Do you eat it. B: Or send it back to the kitchen with a complaint. You’re at a restaurant and the waiter brings you your food and there’s a dead fly sitting on top of it. A: Do you eat it. B: Or send it back to the kitchen with a complaint. What do you do? Then you’re in the minority: It’s called market feedback. When you’re disappointed with somebody or something then express that. I guess you’ve never done it before. After reading all the comments posted over the last 24 hours about the carrier rework. "I think it’s safe to say that it as been a massive disaster!" Conclusion: The carrier rework isn’t working for a lot of World of Warships player base. Yet WarGaming still hasn’t responded. "Isn’t it time that somebody “preferably from the higher echelons” responded to this fiasco?" 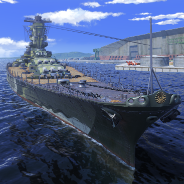 The longer it goes on the more it will hurt the image of WarGaming and World of Warships. "So please WarGaming get your act together!" This is what I think: In one update WarGaming have manged to destroy carrier game play and the basic fundamentals of other aspects of World of Warships. "Which have been its backbone since launch." But you've also been successful in alienated a large group of core players. So just what are you going to do about it? My suggestion: Reactive the odd tier carriers on the old system. Keep the even tier ships on the new system. Let’s see which people choose to play. I know which I’d choose. Which would you?